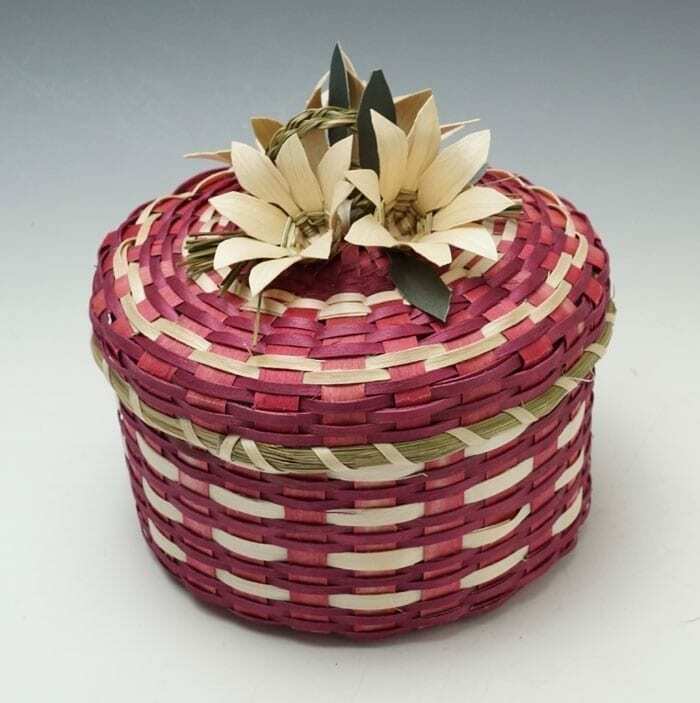 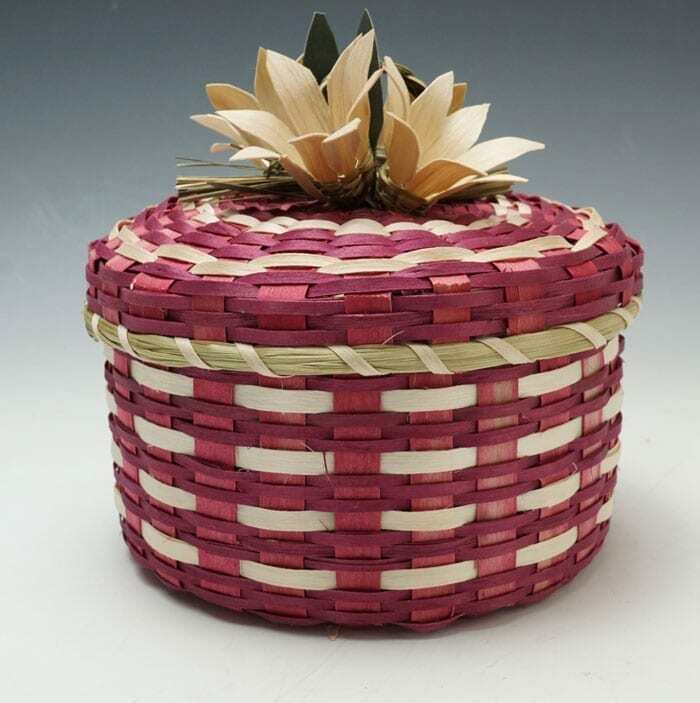 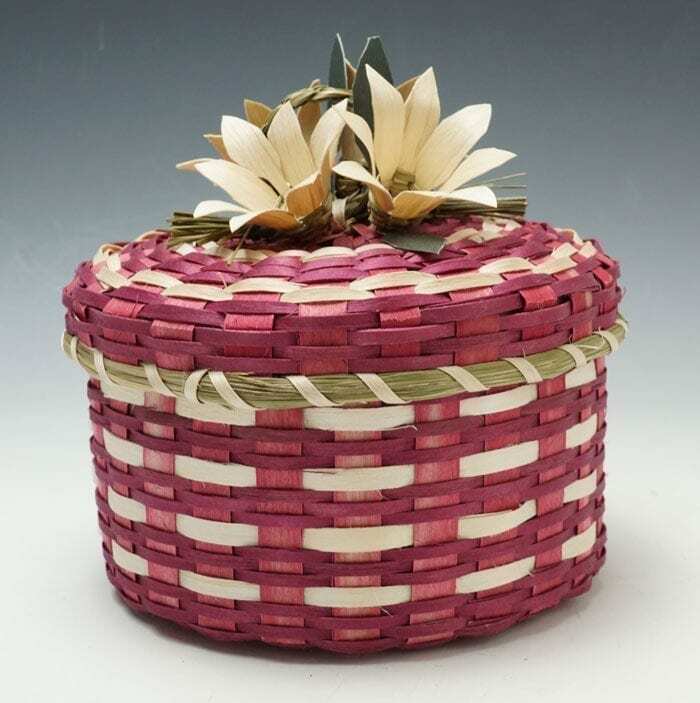 Dolly Barnes learned how to weave from her mother, renowned basket maker Molly Neptune Parker. 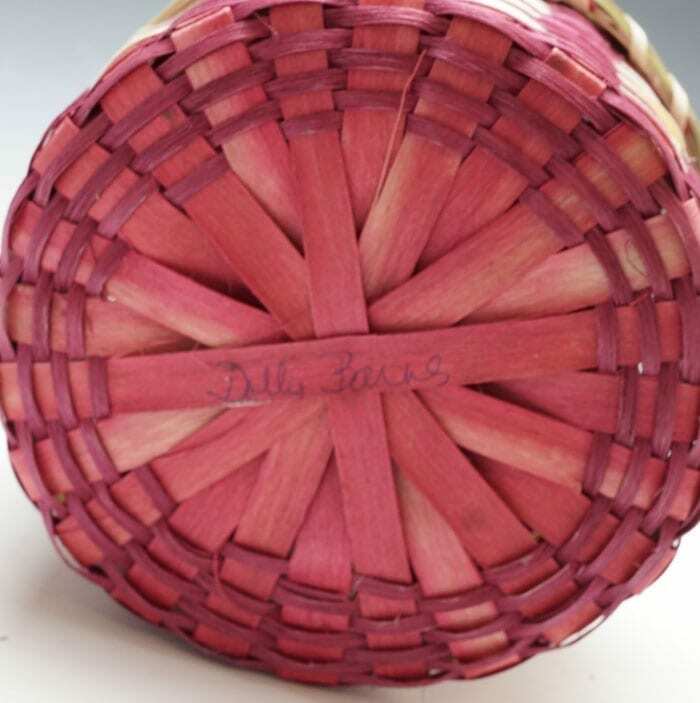 Dolly has begun to weave flowers onto her basket covers, in the tradition of her mother and grandmother. This tradition has been followed by other members of the family, including Geo Neptune and Frances Soctomah. 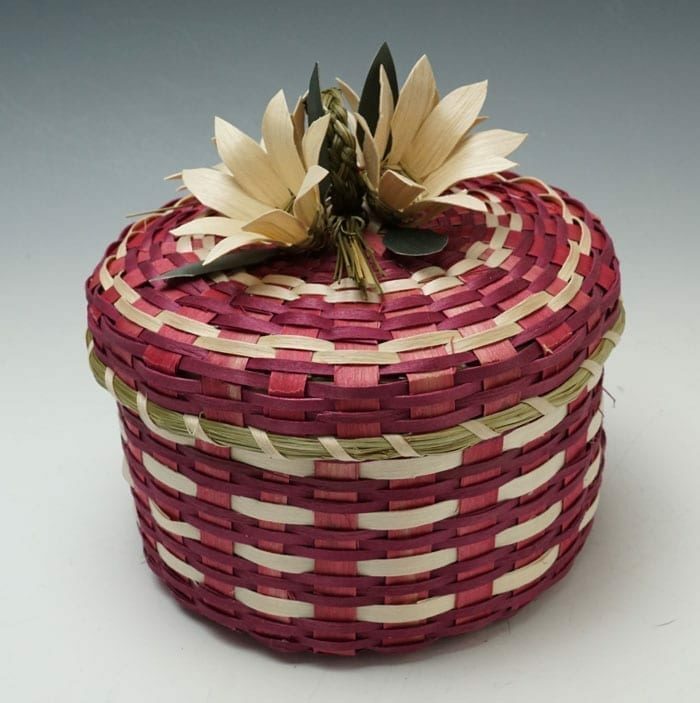 It is wonderful to see a family tradition carried on and extended through the future.